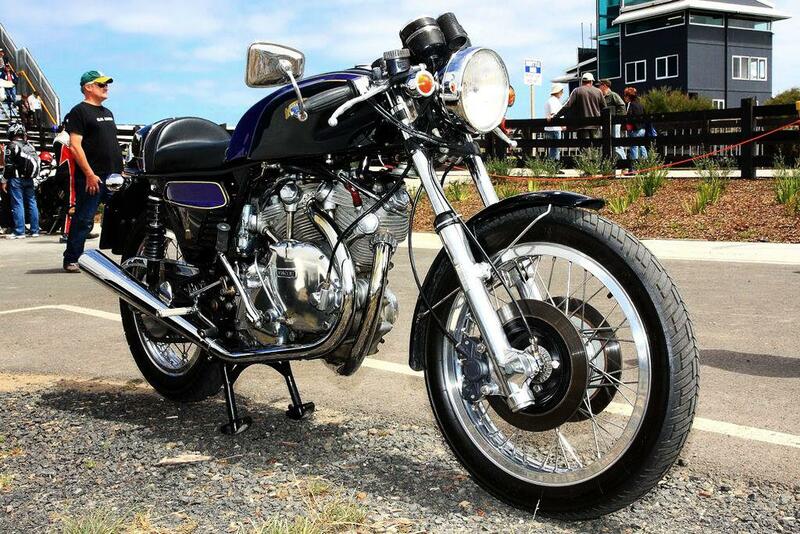 The 1000 Vincent was the first Superbike with unapproachable performances until the early 70s. Then you know the story: everything was going to change within a few years. Everything? Not exactly, as for Vincent purists the Vincent is simply timeless and remains the ultimate road motorcycle, and thus it does not make sense to compare it to any other motorcycle. However, against modern benchmark, the contrast between this incredible engine and the aging chassis became source of inspiration for a few other. If a few Engineers like Fritz Egli started from a blank page, many workshops tried the hybridization process, which is theoretically a quicker way to achieve the desired result. On that perspective, the Norton Manx was the way to go in the fifties and sixties. However, during the two following decades, the only decent choice would have been the Italian school simply because Italian bikes offered the best handling and components available at that time. Aren’t you already thinking about a Duke-Vin? In fact, first Vincati was reported by the Australian Motorcycle Action in October 1975, and it was put together by Max Johnson. In 1972, Johnson was looking for a Vincent but first found a Vincent engine installed in a racing car. He acquired it and started his quest for frame parts, which was nearly an impossible mission in those early seventies. The idea of the Vincati simply came as he was assisting a friend in repairing his Ducati 750. He assessed that the Vincent Twin would fit quite well in this chassis and that it would also be a much easier to find a wrecked bike on the market. 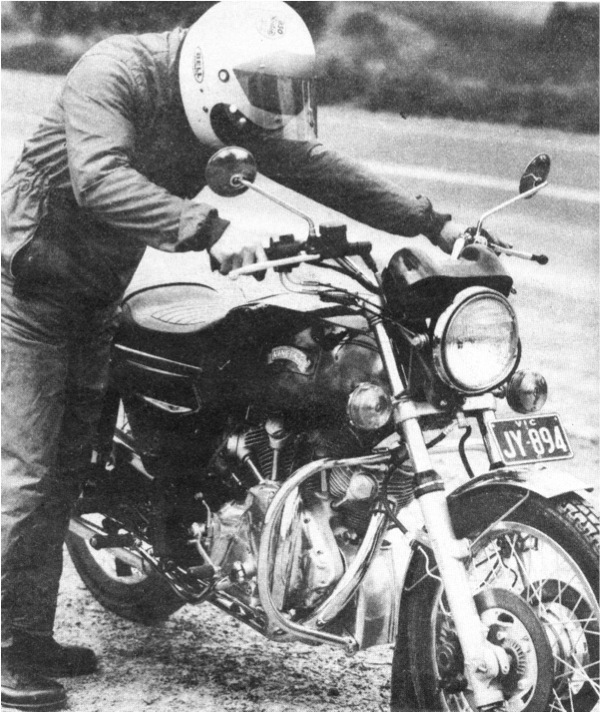 Max Johnson and his Vincati in 1975. There is lot of example of motorcycle hybridization and the idea is pretty simple: you “just” drop a different engine in a rolling frame. Easy? just have to look at the numerous Norvin assembled in the 50s: many of them were clearly approximate or unfinished. Now, to get a result like this, it requires clearly some Engineering skills. So was born the Vincati. Big Sid and his son Matthew with their Vincati project in 2005. Sid was a “big” guy, 6′ 5″ (196 cm) and 300 lbs (136 kg). Sid often mentioned that the Ducati was a little”roomier” for him than the compact Vincent. I’d like to thank you as well Martyn, the editor of the Oz Vincent Review, who helped me to put this story in the right way. Phillipe, the first Vincati was made by Max Johnson in Canberra, Australia, in the mid 1970`s, the second by Don Henderson in Warnambool, Australia, late 1970`s. I know I helped with that one. I was alo involved with getting Don to send information to Sid, to help him with the little secrets. Hi Trevor, actually Dad made it in Melbourne, not Canberra. Actually Max Johnson lived in Eltham Victoria, the second was made by Ian Brock in Canberra, the third by Don Henderson in Warrnambool Victoria the forth Phil Pilgrim, fifth Neal Videan, sixth Bruce Armfield, seventh Big Sid thanks to Phil Pilgrim after 30 emails with pictures and a set of engine plates etc, eighth Chris Horner again thanks to Phil Pilgrim. The second, forth and the fifth one have been re-birthed. If I am not mistaken, there is a Vincati shown in photographs of the Shadow Lake rally in Canada in ’77, although I do not know to whom it belonged. Perhaps one of the Aussies brought it over. 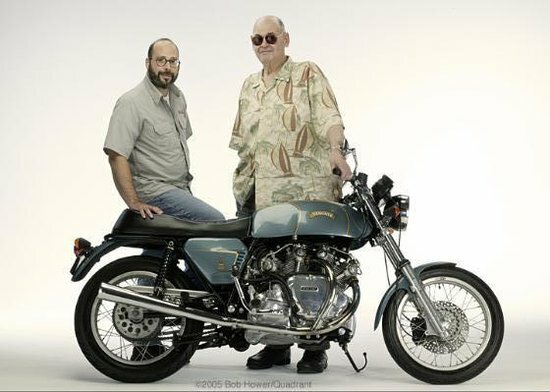 Around 1999 I bought a Ducati (Vincati) chassis from Neal Videan, and installed an all-new 90 X 90 Vincent lump, finishing it by 2001. I recently sold it to Mitch Talcove of Carlsbad, CA. who will modify it as he sees fit. I think the Vincati on the header belongs to Bob Allan of Victoria, Australia. It is widely known as The Violet Crumble. I worked with Max back in the seventies, he was the machine foreman on what was then one of the biggest and best paper manufacturing machines in Australia. He was largely self taught, a natural with machinery who could hear when things weren’t working properly. I was the shift electrician and initially treated Max’s reports that things needed investigation with a degree of disbelief, he was right more often than not. Max had an absolutely amazing afinity with machinery of any type! I last saw him at the Amcor papermill in Fairfield, Victoria in the mid nineties.